The best way to get to know a community is by scheduling a tour. See the facilities, meet the staff and residents, and get a feel first hand what it's like to live at Optimum Senior Care Home Care. Optimum Senior Care provides in-home caregiving services for families across the Chicago Metro area. We offer elderly care services such as companionship, personal care, meal preparation, light housekeeping, grocery shopping, medication reminders, errands, transportation, safety supervision and much more... We specialize in Alzheimer's and dementia care. From a few hours a week to 24/7 care, we'll tailor a customized care plan to fit your needs and budget. Optimum Senior Care is licensed by the Illinois Department of Public Health (IDPH). It is insured and bonded, member of the National Private Duty Association (NPDA) and accredited by the Better Business Bureau (BBB). Our caregivers are fully trained based on both state licensing requirements and Optimum's own professional standards. In addition, all caregivers are subject to background investigation and thorough reference checks. Our caregivers are hired and employed by Optimum Senior Care Corp. and they are not independent contractors. At Optimum Senior Care all caregivers are supervised by the Home Care Supervisor. The Home Care Supervisor ensures that the caregiver understands and follows the clients Care Plan. The Home Care Supervisor makes supervisory visits to evaluate the caregiver's performance and the quality of care, while updating the Care Plan on an ongoing basis. Through the use of our comprehensive in-home care assessment, we coordinate our clients needs to a caregiver with the best matched personality traits and care assistance skills. We ask questions during the initial call or meeting to form a home care assessment. Based on the home care assessment we discuss your particular situation and we will create a custom care plan for you based on your individual needs. Once the Home Care Assessment is completed and the Custom Care Plan is developed we match the best available caregiver to your needs. Each client has different home care needs. 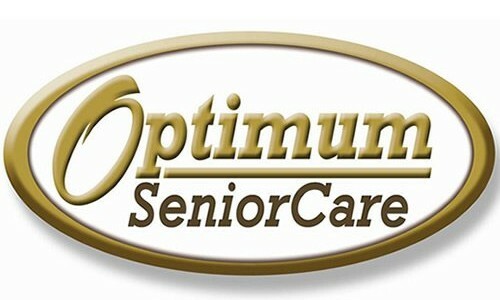 Optimum Senior Care provides a range of services that can be customized to fit the individual client needs.